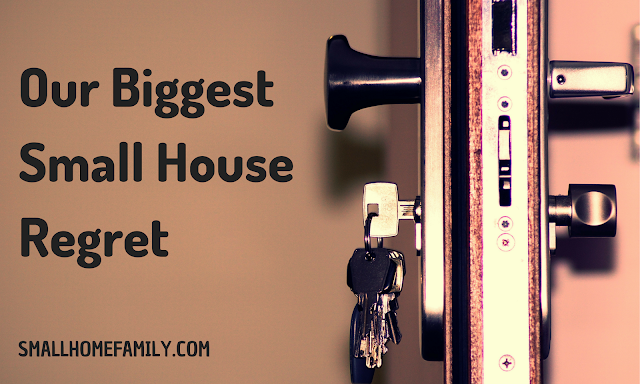 The longer we live in a very small house, the more I realize that some things are just harder to do in such a tiny space. Painting is definitely one of them. 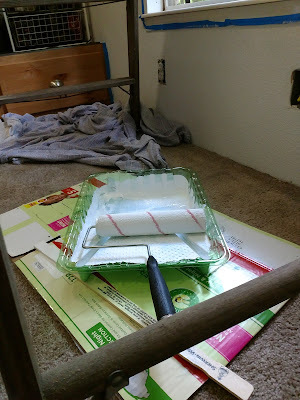 I finally managed to tackle painting the bedroom a couple weekends ago, and it was a complicated process that began with us disassembling the beds and sleeping on mattresses on the floor for a few nights. 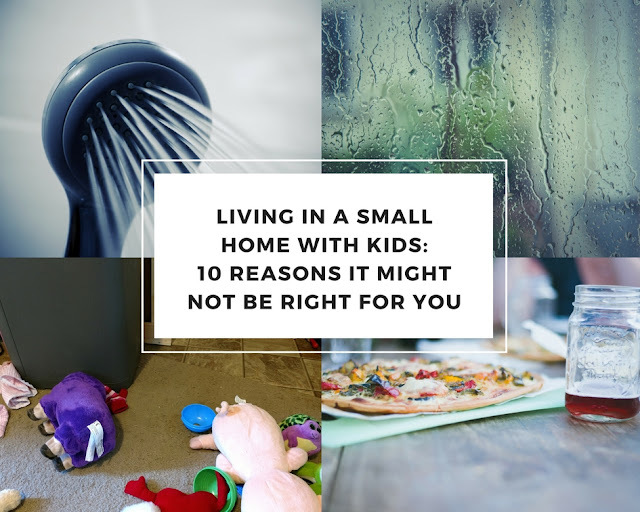 Every morning I would stack the mattresses against the wall, Chris would play tetris trying to get the ladder into the bedroom, and I would work on filling nail holes and taping and, eventually, painting. 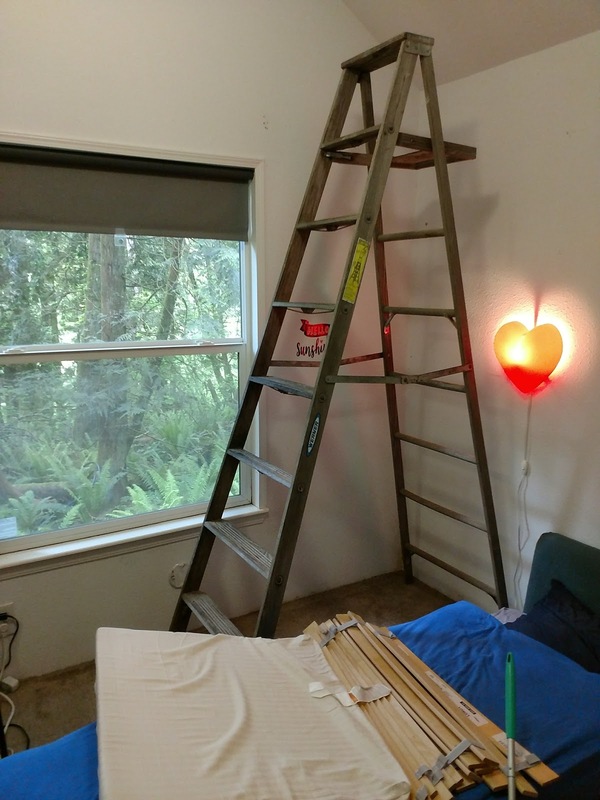 The ladder itself had to be angled practically into the shower in order to fit it past the front door and then back into the bedroom. If it was only a few inches longer, it wouldn't have fit at all. Just moving everything out of the way and then back again at night was quite the ordeal! I had been hoping to paint the whole room in one go, but I just couldn't figure out a way to get it done all at once. 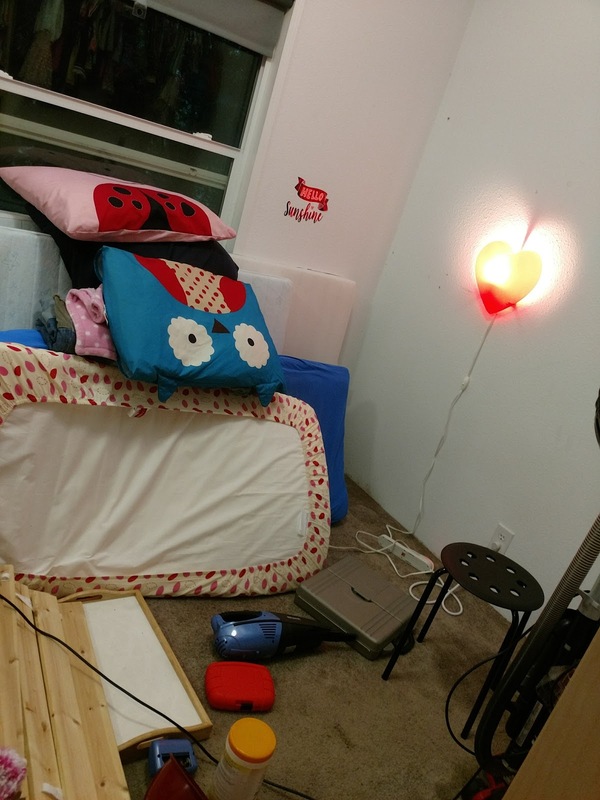 The room is too tiny (about 8x8 plus the closet) to move everything away from all of the walls all at the same time. So I decided to paint the two walls in the corner where the new bed would be for now. 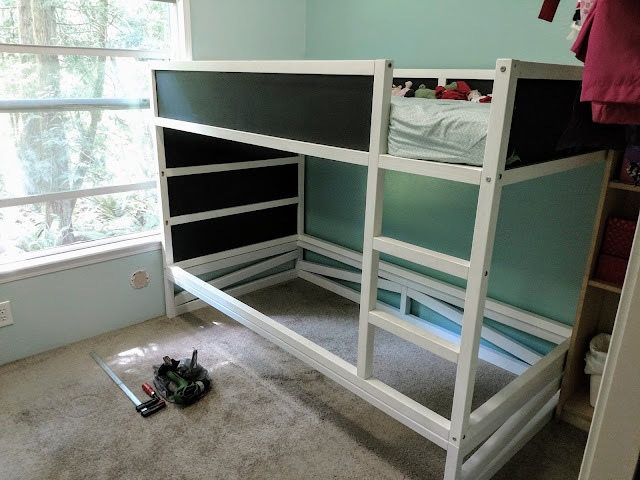 I'm planning to tackle the other two walls in a few weeks after I finish building the bed platform for the trundle to slide under. We've had some issues with mold and mildew in the bedroom in the past, so I decided to invest in some quality mold-killing primer. We bought Zinsser Mold Killing Primer, and it covered the mildew stains really well. I guess we'll see how well it keeps the mold from returning. 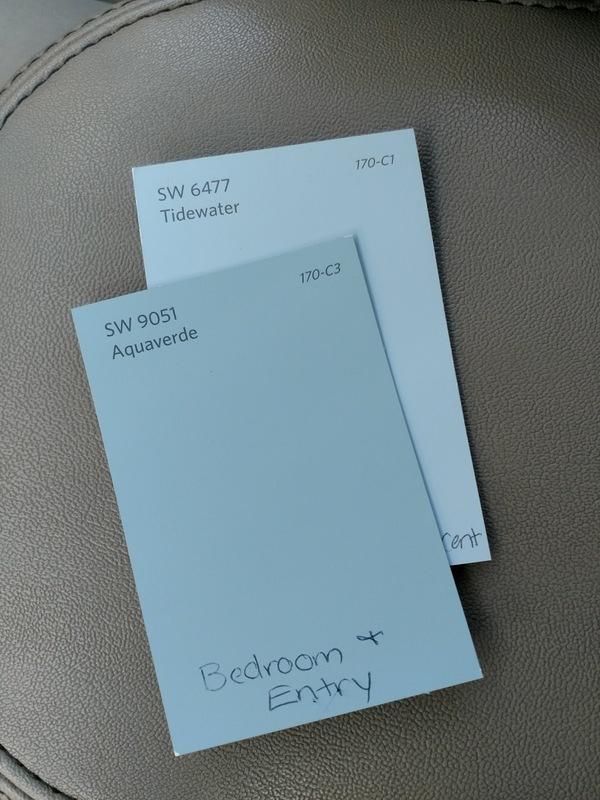 We usually aren't too picky about paint, but I had a very particular look I was hoping to achieve in that room, and the only color palette that had just the right shade of aqua-mint was Sherwin Williams. I was pleasantly surprised that out of the hundreds of shades of blue and green and gray I looked at, Chris preferred the same one I did. Aquaverde. It was a pretty bold color choice for us. (Compare it to the color we've used in the loft and dining room.) Honestly, I had a lot of fear that it would be too dark, so we decided to only use it for one or two walls and go with a color two shades lighter for the rest. I actually painted the first wall with the lighter shade (Tidewater) first to make sure that I really wanted something darker before we even bought the other can of paint. In the end, I absolutely LOVE Tidewater, which I wasn't expecting. It makes me happy just to look at it. We're definitely going to use that one on the majority of the bedroom. I love Aquaverde, too. It is exactly the shade I was imagining when I chose the color scheme for the bedroom. Not too blue or green or gray. Just right. 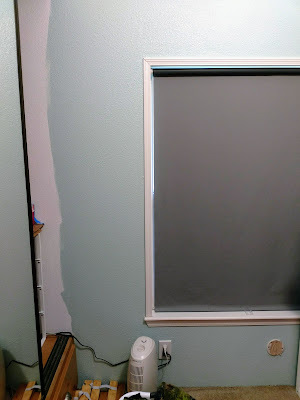 But it is a bit dark for the small space, and I'm glad we decided not to do the whole bedroom that color. 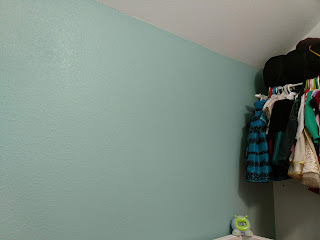 We went with Sherwin Williams Harmony paint because I wanted something that wouldn't smell so we could use the room as soon as possible. It was a great choice, and I'm very happy with how it turned out. 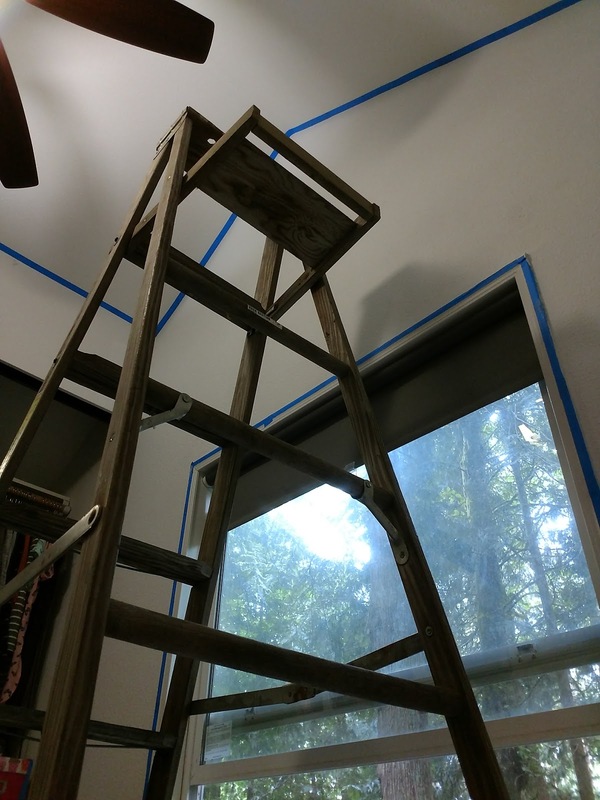 It barely smelled at all (I noticed more of an odor from the darker paint, but neither one was too noticeable), and the semi-gloss finish should be much easier to keep clean than the flat white paint that came with our house. 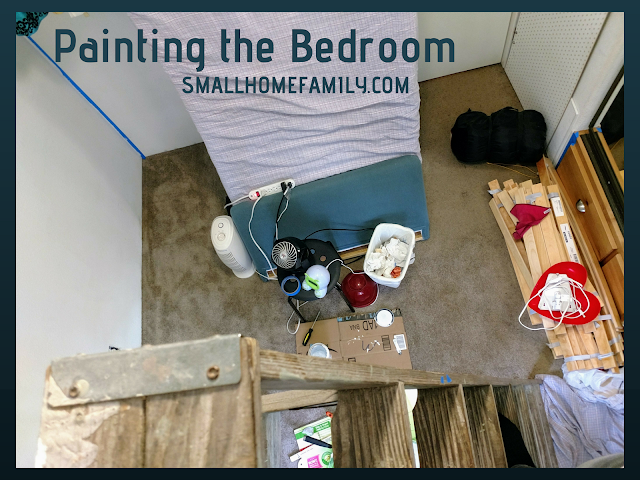 I'm always so happy after I paint, but it sure is a chore trying to figure our the logistics of how to paint in a tiny house!